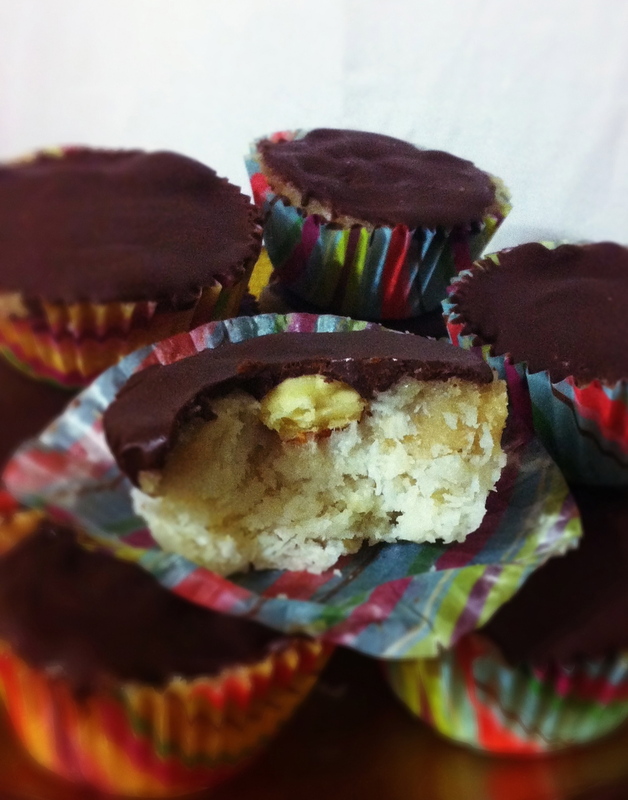 This dessert combines 3 of my favorite things, coconut, chocolate and bite size food. Bite size food makes me feel so petite…so deceptive 😉 This is incredibly simple to make and refrigerates well incase you want to keep them all for you. To make the crust, place all ingredients in medium glass bowl and using your hand, mix until crust sticks together. In 10 minutes they’ll be ready to eat! PLEASE BE SURE TO CLICK THE BANNER BELOW ONCE A DAY TO CAST YOUR VOTE FOR ME…THAT’S ALL YOU HAVE TO DO! That’s all you have to do. CLICK ONCE! MAHALO! I don’t remember if I commented already or not but…OH MY GOODNESS!!!!!!!!! Nummy for my Tummy is not even good enough to describe how wonderful these were!!! I served them to family for dessert Sunday night and I brought some in for my coworkers on Monday…not a negative comment was heard! Huge success!!!! Keep ’em coming!! !